Marxware Computing Services was started in 1987 as an Information Technology (IT) solutions provider. 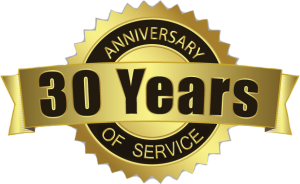 Marxware celebrated 30 years in business, September of 2017. Initially we were supporting a number of IBM mainframe applications and performing custom programming for clinical systems. The mainframes as we knew them are all but gone, but now we see the emergence of server based systems and web applications that in many ways surpass the power and flexability of the big iron of old. Click here for Support options. Today Marxware has evolved to be a total IT solutions provider. As the mainframes have diminished, departmentalized networks utilizing local servers and personal computers emerged. With that transformation, the dedicated IT staff also diminished. Companies now find it more cost effective to outsource their IT department. Marxware has evolved into a one-stop-shop IT and Internet solutions provider for small and medium-sized businesses. Marxware cuts out the technical jargon, paperwork and crossed wires which often go hand-in-hand with IT development, leaving you free to focus on running your business. Marxware can secure competitively priced hardware and software, recommend, layout and install effective networks, analyze and build custom applications, design, produce and maintain leading-edge websites with a minimum of fuss. So whatever your IT requirements, contact Marxware Computing Services, it makes good business sense.